Have you ever wanted to change something in your life ? Have you ever sat back and thought to yourself “I wonder what would happen if I did . . . . “ but then, you allowed those thoughts to get the better of you, that internal dialogue to start coming up with all the reasons and excuses why you shouldn’t and so much more. Change is challenging for most people. We do everything we can to avoid it. We like to stay comfortable and most people like to keep doing what they keep doing because it is part of who they are. But sometimes, the pain of staying the same gets to much. We have tried over and over again to make changes, searching and looking around for different solutions. Yet we keep sliding back. Until that day when you finally say “enough is enough” and you make that HUGE decision you have been wanting to make. You know what the sad thing is though ? Most people don’t. They don’t make that big decision to make big changes. They settle. They compromise. And yet deep down, there is always the yearning. During 2015, we met many, many amazing people – many of whom wanted to make significant changes in their lives. In their own, individual ways, we have seen so many people make significant changes and it is that which keeps inspiring us to deliver what we do. 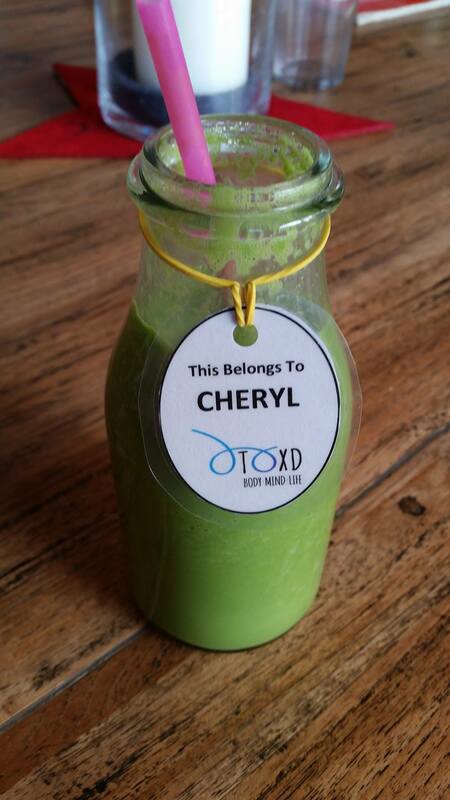 In April 2015, we had the pleasure of meeting Cheryl. Her courage and determination inspired us to gift her an additional week at the Retreat as part of our commitment to Paying It Forward. And during her second stay, something pretty amazing happened. A HUGE LIFE CHANGING DECISION WAS MADE – one that we recognised because it’s been one we have made in the past. And we’re excited to share her journey with you over 2016. HOW COMMITTED ARE YOU TO MAKING “THAT” CHANGE IN YOUR LIFE RIGHT NOW ? I had always said that one day I would rent my flat out, quit my jobs and go somewhere abroad to find myself, have an adventure and lose all my weight that was making me clinically obese. I am not sure I really believed I would do it, just the possibility of it was comfort enough and far less scary than actually taking the plunge! Meanwhile I was still binge eating on junk food and yo yo dieting off and on. I am not entirely sure what is preventing me from succeeding in losing weight but certainly your past tends to have a bearing on it. ‘It’s just puppy fat’ my nan would say and meanwhile my mum would be banning ‘naughty’ food from the house – only arrowroot biscuits in the cookie jar. Christmas cake would be severely rationed and hidden in between servings. I got quite good at finding it but my detective mother would know I had taken a slice for my Dad and I, just by a speck of a crumb near the hiding place! Secret eating would occur in my bedroom at times which probably wasn’t the best circumstance for the future if you wanted a good relationship with food. Being told I would never make it in music by my teacher at school. Years later when I saw him I told him I now had a music degree and PGCE after his telling me I would get nowhere and his response? Reverse psychology!!! Do teachers not realise the influence they have on children because I still carry this baggage today – never feeling good enough, like I got in via the back door, not worthy – all because of one persons comments! Years of counseling, overdose attempts, self harming and antidepressants – and here I am, still standing – JUST ! Having now lost both parents and with no dependents I figured the time for me could be now – to start working on myself, to be healthier and happier, just to start feeling good again. 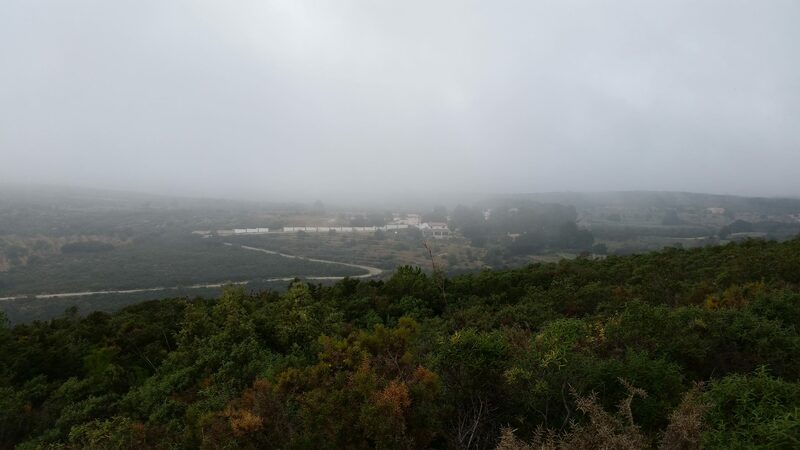 After spending 5 weeks in summer, both as a guest and volunteering, at an amazing place called D-toxd in Spain, I felt healthier than I had done in a very long time and, dare I say it, I felt good again. Not only that, I felt safe and supported by the wonderful team there. I bucked up the courage and went and spoke to Gareth and Jeroen who run D-Toxd. They said I was welcome to come out and stay there for as long as I like, not only as a volunteer but also as an opportunity to finally dig deep and break free from what I felt was holding me back. Things like this were not supposed to happen for me but what an amazing opportunity I had just been given. Kevin is also embarking on an exciting journey !! My first job was to write to the schools that I taught at to ask for a sabbatical for a year so that I had a back up plan. Once this was done, there was no backing out. I then set to letting my flat out and selling all my furniture so I didn’t have to worry about storage costs, which at times was cleaning, other times terrifying. The stress and worry I had of all of this led me to eating junk food constantly again so my self-sabotaging expectations of failing once leaving D-Toxd of course came true – after all, that’s what I do. I started wondering – am I having a mid life crisis, what kind of mad person does this, what am I doing? Giving up for my jobs and home, things I love, people I love – just for me? Trying to find someone to rent my home for a year, packing, storing, sorting, clearing? What if it doesn’t rent – then I am royally screwed? A few more moments of what the hell am I doing. But I guess that sometimes you have to take leaps of faith as you really only do live once. This might just be my last chance and who knows what the next year of my life is going to bring. 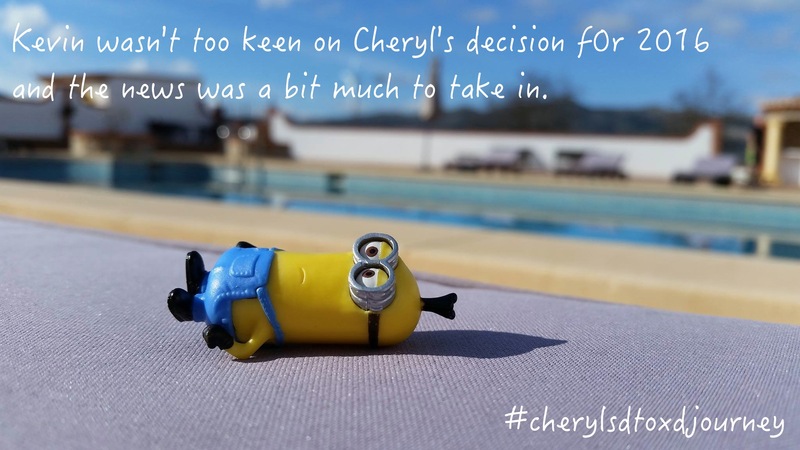 If you’d like to stay up-to-date with Cheryl’s Journey, then either follow our blog or come and join us on Facebook where we’ll be posting her (and Kevin’s) adventures, challenges, progress and whatever else comes along. Can’t wait for the next instalment. Very exciting adventure. Cheryl, we’ve known each other a long time. I admired your courage way back then, I could feel your inner strength to overcome the negativity that had always been part of your life. I remember a particular time when you wanted to stop being the one being bullied into spending time helping with the Guides you usually helped with and your struggle to put yourself first – you needed to work on your music degree (something your Guide person seemed not to understand) such courage, such hard work to confront people and situations that SEEMED more powerful than your needs for yourself. Well I see all this courage is paying off! I am so very pleased for you. You’ve been an amazing Daughter to both your Parents, now it IS your turn to give yourself everything you want – to not have to consider all the other people who have made demands on you – it’s your turn, GO FOR IT – I so admire you and send much love.